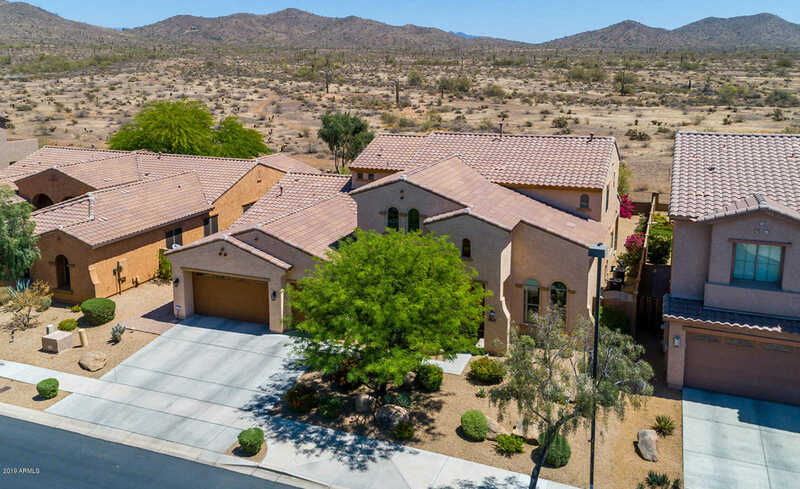 Gorgeous Maracay home with stunning unobstructed mountain views in the highly sought after north Phoenix gated community of Sonoran Foothills. This gently lived in move-in ready home features the master bedroom and separate home office on the 1st floor, has a large bonus/game room, gourmet kitchen with floor to ceiling upgraded cabinets, large breakfast island, gas cooktop, built-in fridge, large laundry w/sink & storage and 4′ extended garage w/epoxy and storage too. Large, private cul-de-sac lot. Friendly community has year-round activities, pool, parks, basketball, volleyball, tennis courts. Near K-8 school, hiking & biking trails. Fry’s Marketplace, 2 exits provide easy access WEST to I-17, Dove Valley Rd takes you east to Cave Creek Rd & Desert Ridge area. Approximate size: 10800.00 sq. ft. Please, send me more information on this property: MLS# 5867657 – $589,900 – 32007 N 15th Drive, Phoenix, AZ 85085. I would like to schedule a private showing for this property: MLS# 5867657 – $589,900 – 32007 N 15th Drive, Phoenix, AZ 85085.